The History department at UNCW offers several different ways in which one can complete at master's degree. The non-thesis track requires a minimum of 30 credit hours of graduate study, 24 of which must be in history. A maximum of six credit hours may be transferred from another accredited institution, at the discretion of the History Graduate Committee. Transfer credits will be awarded only for grades of "B" or better. At least 24 credit hours of graduate study must be completed in residence. Students must complete HST 500, 12 credit hours in their area of concentration, and at least three credit hours each in fields outside of their specialization (3 credit hours each in U.S.., European, Global or Public - depending on the student's specialization - for a total of 9 credit hours). Rather than complete 6 credit hours of thesis research (HST 599), students must complete 6 additional credit hours of graduate level courses offered by the History Department. Six credit hours of coursework must be completed in research seminars open only to graduate students: HST 522 ; HST 542 ; HST 562 ; HST 564 ; HST 573 ; HST 593 ; HST 596 . One graduate seminar must be in the area of concentration. Students are limited to six credit hours of research seminars and colloquia open to graduates and upper-level undergraduates (cross-listed courses) (HST 518; HST 525 ; HST 526 ; HST 527 ; HST 528 ; HST 529 ; HST 531 ; HST 533 ; HST 540 ; HST 548 ; HST 552 ; HST 554 ; HST 556 ; HST 558 ; HST 577 ; HST 580 ; HST 581 ; HST 583 ; HST 585 ; HST 586 ); six credit hours of directed independent studies (HST 591 ) and six credit hours of courses in other departments. Students must pass comprehensive examinations in their field, to be administered no earlier than the final semester of enrollment in course work. The program must be completed within five years of the date of first registration for graduate study. The program requires a minimum of 30 credit hours of graduate study, 24 of which must be in history. A maximum of six credit hours may be transferred from another accredited institution. Grades on transfer work must be equivalent to "B" or better. At least 24 credit hours of graduate study must be completed in residence. All students, whether taking the thesis option in Global, U.S., European or Public, must complete a minimum of 24 credit hours of course work and an additional six credit hours of thesis credits. At least 18 credit hours of course work must be completed in courses open only to graduate students. Cross-listed courses will have additional requirements and different grading for graduate students. Students must complete HST 500 , 12 credit hours in the area of concentration and nine credit hours of electives. Six credit hours of coursework must be completed in research seminars open only to graduate students: HST 522 ; HST 542 ; HST 562 ; HST 564 ; HST 573 ; HST 593 ; HST 596 . One graduate seminar must be in the area of concentration. Students are limited to six credit hours of research seminars and colloquia open to graduates and upper-level undergraduates (cross-listed courses) (HST 518 ; HST 525 ; HST 526 ; HST 527 ; HST 528 ; HST 529 ; HST 531 ; HST 533 ; HST 540 ; HST 548 ; HST 552 ; HST 554 ; HST 556 ; HST 558 ; HST 577 ; HST 580 ; HST 581 ; HST 583 ; HST 585 ; HST 586 ; six credit hours of directed independent studies (HST 591 ) and six credit hours of courses in other departments. Each student must successfully complete a written comprehensive examination that will be administered no earlier than during the final semester of enrollment in course work, and no later than the semester following the completion of course work. 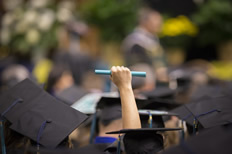 Students must complete six credit hours of thesis (HST 599 ), and defend the thesis to the satisfaction of the thesis committee, prior to graduation. Students must pass a competency examination demonstrating satisfactory reading knowledge of a foreign language. The Public History Professional Track is a 30-credit-hour course of study meant to prepare historians for work in museums, historic sites, historic preservation agencies, business settings, and other organizations utilizing historical collections, research, and education. Students must take HST 500. They will complete twelve credit hours of public history courses, which will include HST 570; HST 573; and six credits of HST 579. Students will also take twelve credit hours of history electives. Finally, students will complete a three-credit Capstone Project (HST 594 ), which is a semester-long student directed project completed in collaboration with a community partner. Students are limited to six credit hours of research seminars and colloquia open to graduates and upper-level undergraduates (cross-listed courses): HST 525 ; HST 526 ; HST 527 ; HST 528 ; HST 529 ; HST 531 ; HST 533 ; HST 548 ; HST 552 ; HST 554 ; HST 556 ; HST 558 ; HST 573; HST 577 ; HST 578; HST 580 ; HST 581 ; HST 583 ; HST 585 ; HST 586 ; HST 587 ; HST 595; HST 597; and six credit hours of directed independent studies (HST 591). Each student must successfully complete a written comprehensive examination in public history and one subsection from either U.S., European, or Global history, to be administered at the end of the semester prior to the capstone project. The program requires 30 credit hours of graduate study. 24 of those credit hours will consist of on-line reading and discussion courses, taught during the fall and spring semesters. Students will take two eight-week courses per semester. The courses will cover United States, European, Global and systems-based histories (HST 520 ; HST 540 ; HST 560 ; HST 590 ). Six credit hours will result from two on-campus institutes held during two consecutive summers (HST 591 ). The first summer institute (held during UNCW Summer Session II) will focus on a local topic and will provide students with information and teaching materials for integrating local history into their classrooms. Students will create a three-session lesson plan oriented around a local site visit, and present one of those lessons to faculty and peers. Students will also produce an essay on the integration of local or regional history into the classroom experience. During the second institute, students will write a comprehensive historiographical essay and take a comprehensive exam. Reading and discussion courses will cover U.S.., European, Global and "systems-based" histories (such as Atlantic World, economic history, and modern imperialism and colonialism). Emphasis will be placed on content, historiographical context, and current research questions in these fields. Students will take comprehensive exams of materials covered in the on-line courses. Those exams will take place at the beginning of the second summer institute, following a week-long review of materials with faculty.